Jad Abumrad a su la semaine dernière qu’il venait de recevoir le MacArthur Fellowship, connu aussi sous le nom du Genius Award. Jad Abumrad est le producteur et le coanimateur de Radiolab, une émission phare de NPR, le réseau radiophonique public américain. Pour ceux qui ne connaîtraient pas encore l’émission, voici le dernier épisode en ligne, intitulé Games. Jad Abumrad is a radio host and producer whose engaging audio explorations of scientific and philosophical questions captivate listeners and bring to broadcast journalism a distinctive new aesthetic. As co-host and producer of the nationally syndicated program Radiolab, Abumrad employs his background as a composer to orchestrate dialogue, music, and sound effects into compelling documentaries that draw listeners into investigations of otherwise intimidating topics, such as the nature of numbers, the evolution of altruism, or the science of emergent phenomena within ant colonies and other complex systems. As a result of his meticulous editing and conversational approach to interviews with experts, the structure of Radiolab episodes often mimics the scientific process itself, complete with moments of ambiguity, digressions, reversals, and surprising conclusions that evoke in audiences a sense of adventure and recreate the thrill of discovery. One humor- and insight-filled segment, entitled “A Very Lucky Wind,” tackles the subject of stochasticity, or the mathematics of randomness, by following the highly improbable route of a drifting balloon across the south of England. Another episode, “Cities,” examines a formula for predicting the demographic characteristics of cities around the globe by gathering evidence from participants in Dublin, Mumbai, Mexico City, and beyond. With these and many other Radiolab shows, accessible as radio broadcasts and as podcasts, Abumrad is inspiring boundless curiosity within a new generation of listeners and experimenting with sound to find ever more effective and entertaining ways to explain ideas and tell a story. Musicien d’abord, Abumrad est un conteur. Il explique sa démarche ici: un besoin de joie, et de chaos. Games n’est probablement pas le meilleur épisode, allez donc faire un tour des autres ballados ou épisodes en ligne. 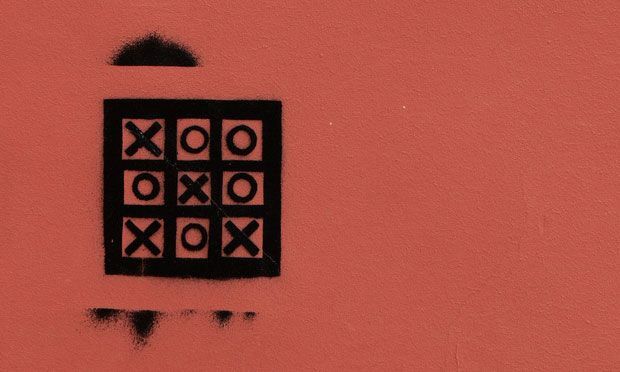 Voici un exemple de la méthodologie décrite plus haut: les deux animateurs ont mis en ligne une courte ballado sur le tic tac toe, lors de la préparation de l’émission Games. Depuis 2005, Jad Abumrad, et son accolyte Robert Krulwich, deux extraordinaires communicateurs, bercent mes oreilles.